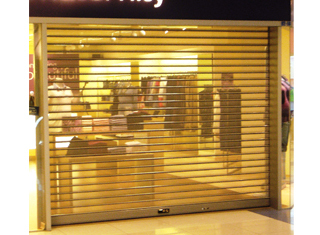 Conventional steel interlocking slat shutters with pinhole perforations, our Gliderol Alfresco Steel Roller Shutters are ideal for supermarkets where ventilation is required together with the need to keep out vermin. 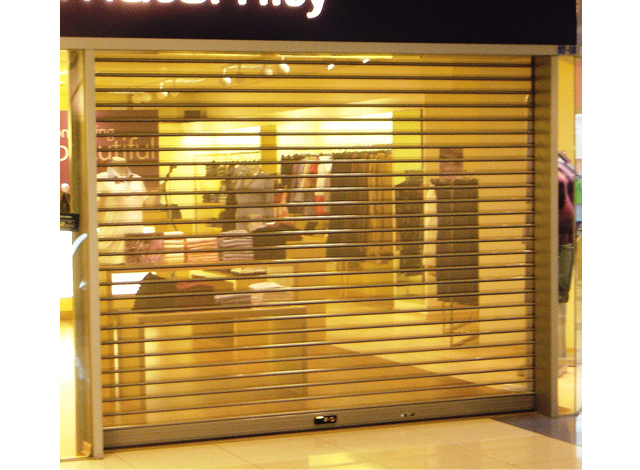 GLIDEROL 'Alfresco' Roller Shutters are suitable for use in commercial or residential openings of up to 3.5 m wide x 3 m high in a single panel. 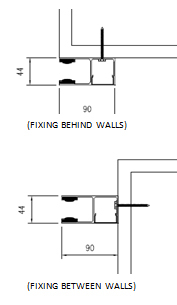 Larger openings are recommended to be motorised. 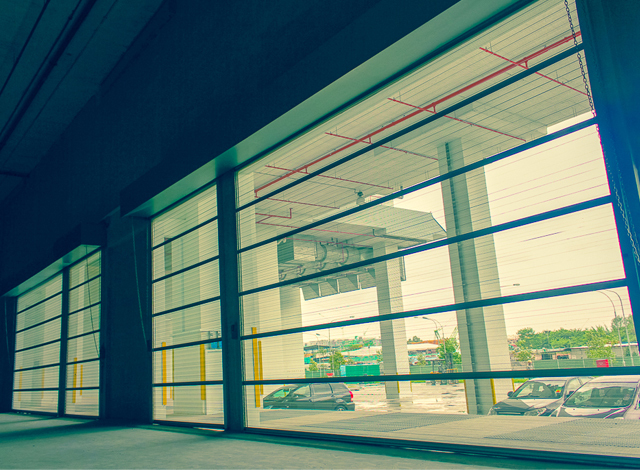 It employs the same design principles and components as the Roller Door, except for the curtain material, which consists of 75mm x 0.8mm thick galvanised steel interlocking slats. The entire concave portion of these slats contains 3.3mm diameter perforations spaces at 4.9mm staggered pitch which gives excellent airflow through a total perforated surface area of approximately 40.5%. 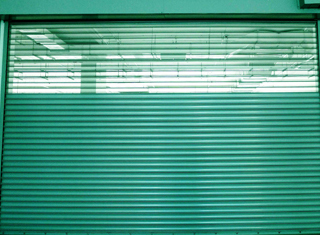 This results in a roller shutter door with a 'see-through' effect which also offers excellent ventilation and at the same time, precludes the possibility of things like cigarette butts being thrown into the premises. It is therefore preferred over the conventional method of punching slots through the slats for ventilation. The scroll edges of the slats are not perforated to avoid weakening the interlocking joints. 'Alfresco' shutters are recommended to be powder coated because the coating thickness adequately covers the burrs of the perforated edges, smoothening out any sharp edges. Powder coating also offers greater flexibility in colour choice, an advantage greatly appreciated by most of today's Architects. 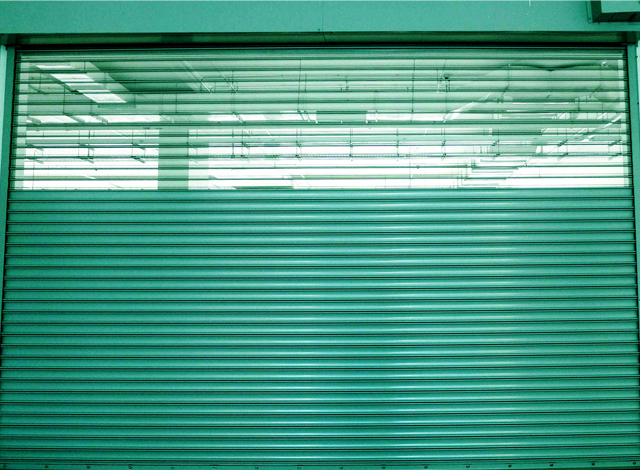 The GLIDEROL 'Alfresco' Roller Shutter is architecturally specified as a manually operated Roller Shutter constructed of 75 x 0.8 thick galvanised steel interlocking slats in powder coated finish, with approximately 40.5% of the concave surface perforated to achieve a 'see-through' effect with good airflow. The scroll edges where the slats interlock must not be perforated. The drum assembly shall consist of a rigid corrugated torque-tube containing suitably graded oil-tempered torsion springs secured to nylon drumwheels. The edges of the slats shall be fitted with proprietary nylon end-clips secured to alternate slats to prevent lateral movement of the slats. The bottom-rail shall consist of a single-length aluminium extrusion with the base of the rail containing two slots to retain a seamless finned PVC weatherseal. The guides shall also be a proprietary extruded aluminium section with slots at the lips to retain a seamless PVC strip designed to prevent metal-to-metal contact for smoother and quieter operation. 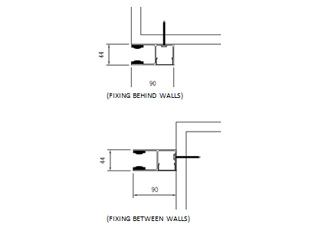 Consequently, the guide channels shall not require initial and periodic greasing to aid door operation. 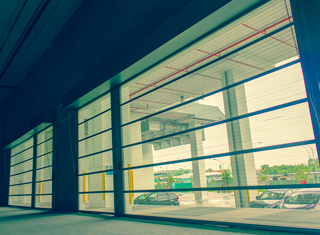 Electrically operated doors shall be as above described but containing a proprietary motor operator installed within the door roll. The control box shall feature push-button controls and a built-in auto-stop safety device. The system must be convertible to manual operation at arm's reach and have remote control and power back-up capabilities. Note:- Any desired special operating requirements should be specifically stated. A manufacturer's warranty certificate with the desired warranty period should be obtained. Excellent 'See-through' effect from inside the premises.